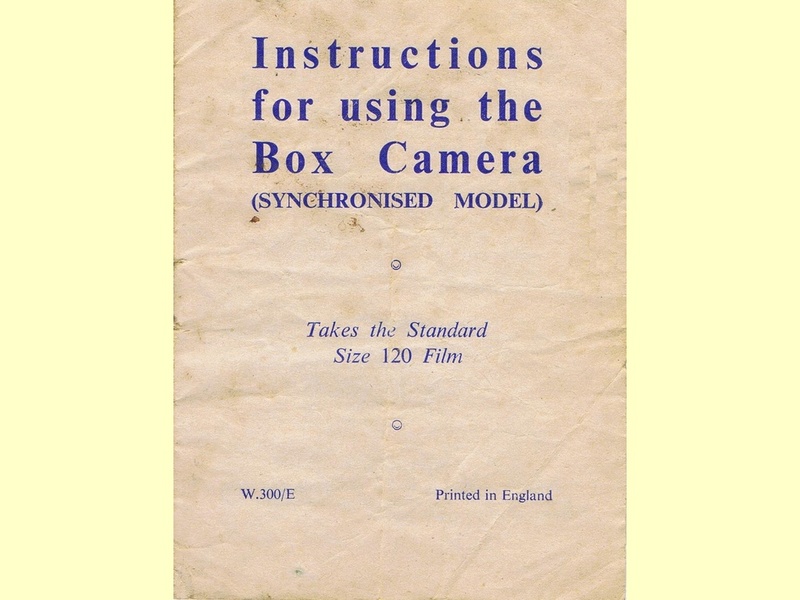 Instructions for using the Box Camera (Synchronised Model). 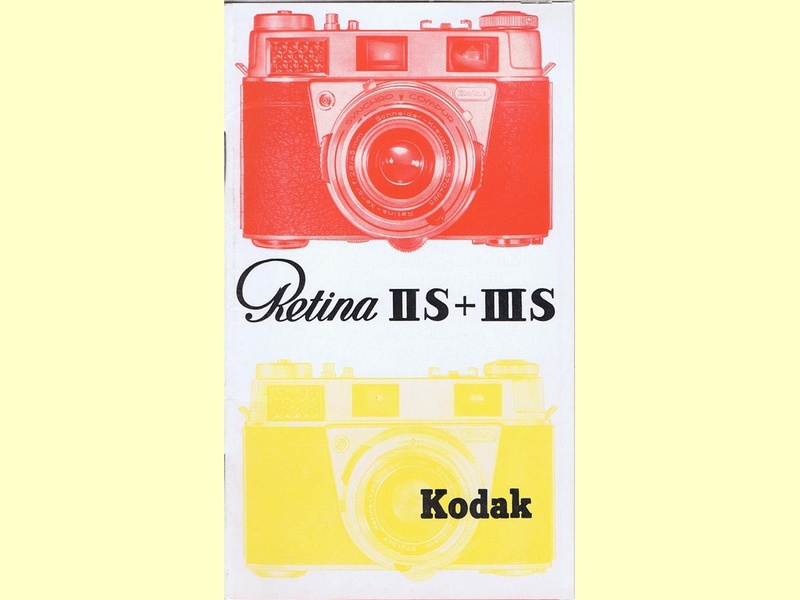 Before attempting to take a photograph firt make yourself familiar with the various movements and fittings, as shown in Fig. No.1. 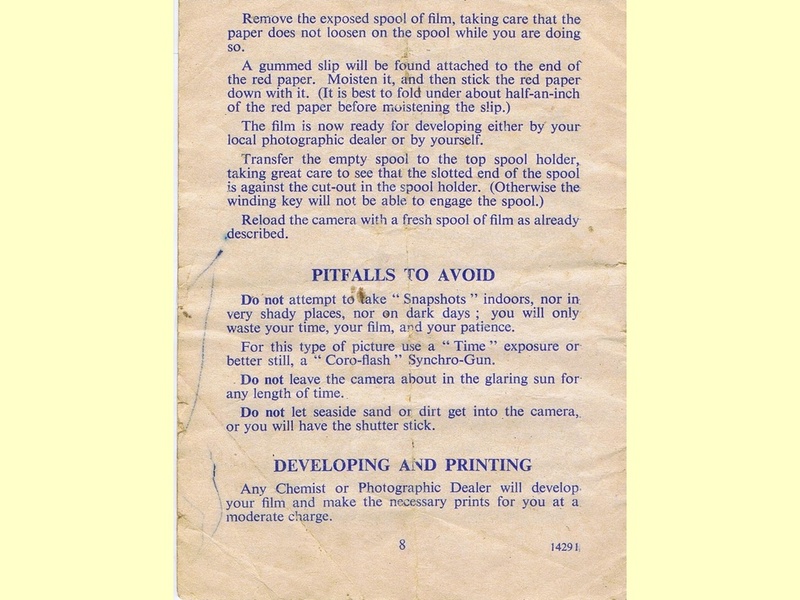 This camera can be loaded in daylight, but do not load in direct bright sunlight; always get into the shade. 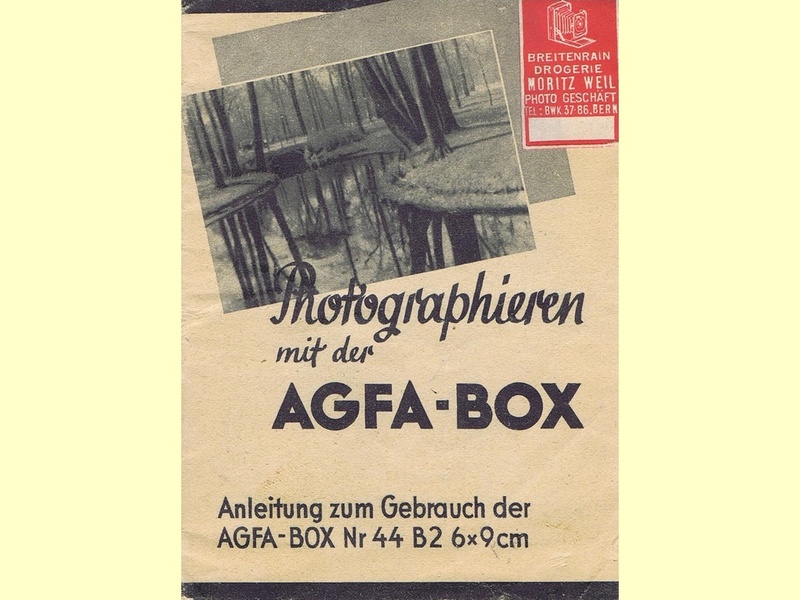 Gebrauchsanleitung weist starke Abnützungen auf.